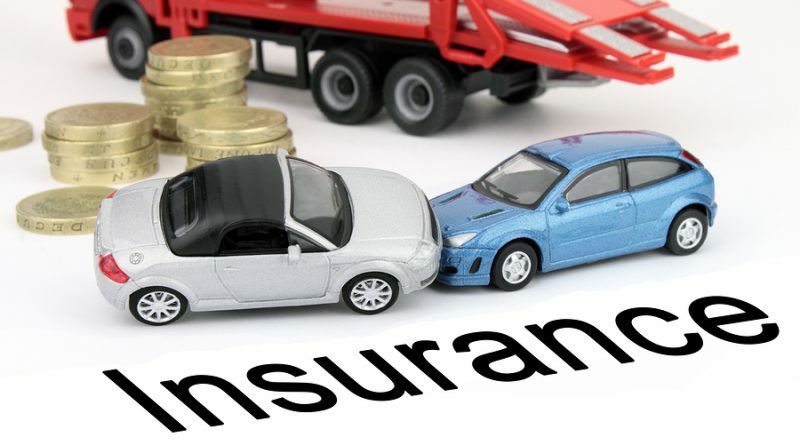 Top 5 Car Insurance Companies In India: The New Year has dawned and with it, the torrent of resolutions and life altering plans are in full flow. Like most Indians, if you aspire to purchase your dream car in 2016, knowledge of the various motor insurance companies in India comes second only to the know-how of all the latest car models plying the Indian roads. Herein, find a comprehensive listing of the Top-5 car insurance companies that are bound to be an influential presence in 2016, and richly deserving of your attention. This state owned general insurance company is a pioneer of car insurance in India . Amongst the various motor insurance companies of India, National Insurance Company enjoys a wide reaching appeal and an enviable track record in terms of products offered and customer support rendered. The company boasts of over 1000 offices and 16,000+ employees and agents across India and Nepal. Introduction of product customisation for both rural and corporate customers. Implementation of strategic alliances with Maruti, Hero Motocorp, and many other automobile and two-wheeler majors. Pioneering the concept of bancassurance in the country by linking with India’s largest banks. Cover for loss of car accessories. Cover for legal liability to a paid driver. Personal accident protection to the passengers. Increased liability coverage (up to Rs.7.5 lakh) for third-party property damage. Additionally, the insurance company offers No Claim Bonus (NCB) to policyholders who observe claim-free years. Discounts in premium are also offered to customers who opt for voluntary excesses. Discounts are offered to customers who install approved anti-theft devices in the car. Handicapped, blind, or mentally challenged individuals who use specially designed vehicles also receive premium discounts. Liability-only cover – This plan provides insurance against legal liability to a third party in an accident. It offers protection for the life and property of the third party. Package cover – This plan offers protection to the insured car and the car owner. It also provides third-party liability cover. The plan offers coverage for all private cars used for domestic, social, and professional needs. The car insurance plan from National Insurance Company Ltd. excludes losses due to normal wear and tear of the car, consequential losses, damage to the tyres, and electrical/mechanical failures. Other hygiene exclusions such as driving under the influence of alcohol, driving without a valid license, and using the insured car for anti-social activities hold good as well. With the tag of being one of India’s largest private sector general insurance company, ICICI Lombard General Insurance Ltd. is known for its tech savvy approach, robust customer support and quick turnarounds on the immensely customer centric application procedures. When considering car insurance in 2016, keep in mind that ICICI has partnered with more than 3,300 network garages that offer you efficient services in a transparent manner. The company has also been conferred with several prestigious awards, indicating its strong capitalisation level, satisfactory underwriting performance, and effective reinsurance procedures. The comprehensive policy for private cars includes coverage for losses due to natural/man-made calamities, personal accident cover for the owner-driver, and third-party liability cover. The insurer offers a wide range of optional add-on covers, such as personal accident cover for the passengers, zero depreciation cover, and engine protection cover. The customer support of ICICI Lombard is much applauded and the claim process is simple and hassle-free. Customers can buy car insurance instantly at the insurer’s website. 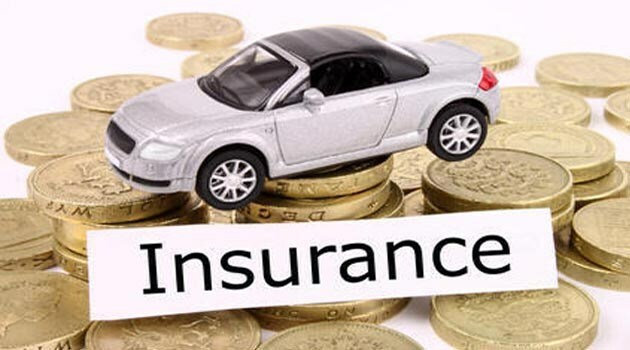 Motor insurance renewal can also be done online starting 60 days before the expiration of the current policy. In the case of reinsurance, vehicle inspection is only mandated when there is a gap in insurance resulting from an expired policy. The insurer has a Garage Cash plan that provides a fixed amount of money to the policyholder for a specific period of time while the insured vehicle is undergoing repairs at a network garage. This is very useful in the stressful time of a claim. Third-party liability is covered without any upper limits in the event of death or injuries. Damages to third-party property is offered coverage up to Rs.7.5 lakh. Wear and tear of the vehicle with age. Losses from mutiny, war, or nuclear disasters. Another heavyweight state-owned general insurance company, United India Insurance Company Ltd. commands over seven decades of experience in non-life insurance business with a dominant stake in the sphere of motor insurance in India. Post nationalisation, the company has seen a spurt of growth with a vast network of offices and robust workforce. The company currently has provided insurance cover to more than 1 crore policyholders. The innovative micro offices of the insurer dot the expanse of the country, covering more than 200 tier-II and tier-III villages and towns. The claim settlement ratio for suit and non-suit claims for the financial year 2015-16 was 35% and 91%, respectively. The insurer offers a liability-only policy and a package policy to suit the varying needs of its customer base. The liability-only policy provides coverage for liability to bodily injury or death of third party. Damage to third-party property is also covered under the plan. Additionally, this plan offers personal accident cover for the owner-driver. The comprehensive/package policy offers Own Damage (OD) cover and third-party liability cover. The OD cover includes losses due to accidents, fire, theft, terrorist activities, strikes, riots, earthquakes, floods, landslides, etc. Losses to the vehicle while in transit via elevator, road, air, or waterways are also covered. The third-party liability cover protects from damage to third-party property. It also offers protection for third-party life. 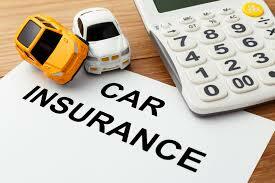 Additionally, the owner-driver of the insured vehicle is offered personal accident cover under the plan. The comprehensive policy can be enhanced through add-on covers offered by the insurer. The company lays special focus on offering excellent customer service and expedited claim settlements. The insurer offers special discounts in premium to vintage cars and for vehicles that have approved anti-theft devices installed. 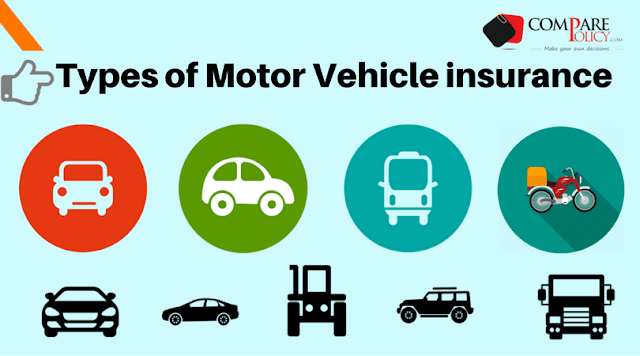 A policyholder can also avail a premium discount if he/she is a member of the Automobile Association of India (AAI). The insurance company offers a No Claim Bonus to customers who practise safe driving. If the policyholder refrains from raising claims in a policy year, he/she is eligible for this discount. A discount of 50% on the OD premium is offered to vehicles that are modified for use by handicapped, blind, and mentally challenged individuals. Drunken driving or driving under the influence of intoxicating drugs. Consequential loss, wear and tear, and depreciation of parts. Claims raised outside the geographical area mentioned in the policy document. Losses while the car was used beyond specified limits. One of the premier private sector players, HDFC ERGO General Insurance offers insurance solutions pertaining to motor, health, travel, home and personal accident. Founded in 2002, the company may be a relative newcomer into this competitive sphere but has already established itself a solid reputation and fan following. The motor insurance package from HDFC ERGO combines simplicity with customer comfort, and foresight with expert support, to emerge as one of the leading options with regards to auto insurance in India. Currently, the firm operates 108 branch offices in more than 85 cities with an expert staff of 1,900+ employees and advisors. The influential rating company ICRA Limited, rates HDFC ERGO General Insurance a commendable ‘iAAA’ on its rating scale. This applauds the company’s claim paying ability, efficiency of its policy issuance wing, and superior customer servicing procedures. HDFC ERGO also observes uniformity in information security processes across its branches. The company has been conferred with several awards for its customer service, financial reporting processes, and technological innovations. Purchase and renewal of the policy can be done effortlessly through the website of the insurer. Cashless claim service can be availed at more than 4,600 authorised garages across the country. Customers can get a host of discounts pertaining to NCB, Automobile Association membership, voluntary excesses, etc. Accidental damage to the insured car. Terrorism, strikes, riots, and malicious acts. Damage to the car while in transit through rail, road, air, lift, or inland waterways. Earthquakes, storms, floods, rockslides, and landslides. Personal accident cover for the owner-driver for an amount of Rs.2 lakh. The policy also covers passengers (up to the seating capacity of the car) and a paid driver. The coverage of the package policy can be amplified by opting for add-on covers such as zero depreciation cover, NCB protection cover, consumables cover, engine and gear-box protection cover, etc. Wear and tear of the car with age. Driving while drunk or under the influence of intoxicating drugs. Losses due to wars, nuclear events, and mutiny. Damage to the tubes or tyres, except when it is accompanied by damage to the car itself. Damages to the vehicle outside the country. The Oriental Insurance Company is a fully government-owned concern. It enjoys massive favour from the Indian public that views Oriental as a solid performer in light of its credible history and status as a state-owned entity. When deciding upon a suitable car insurance in 2016, pay attention to Oriental’s current infrastructure of over 1,800 offices and 14,000+ employees across India, Nepal, Kuwait and Dubai as well as its suggestive tagline of “Service to Clients”. The private car insurance package offered by Oriental Insurance is highly praised for its simplicity, coverage across many parameters and expert customer support initiative. The company considers its highly proficient workforce as the backbone of its outstanding performance in the insurance domain. The insurer has also devised special insurance solutions for large projects in the petrochemical industry, power plants, steel factories, and chemical plants. The bouquet of insurance solutions offered by Oriental Insurance includes products suited to the needs of both the urban and the rural customer. Losses to the vehicle in accidents. Personal accident cover for the owner-driver. Losses due to thefts, burglaries, etc. Losses due to fire, lightning, explosion, and self-ignition. Damages caused by earthquakes, storms, floods, rockslides, landslides, riots, inundation, malicious acts, terrorist activities, and strikes. Damages to the car while in transit via rail, road, air, lift, or inland waterways. Those who opt for voluntary deductibles. Those who have installed anti-theft devices in the car. Those who do not raise any claims in a policy year, hence accruing an NCB. Those who have membership at the Automobile Association of India. Loss of personal effects cover. Free emergency service when the policy is bought from specific branch offices. The customer support facilities offered by the insurer are also noteworthy. Driving while intoxicated with drugs or liquor. Losses due to nuclear risks, war, and mutiny. Damage to the tubes or tyres of the car, unless the vehicle itself is also damaged. The car being used for hire, speed testing, racing, etc. Damages that occur outside India. The policyholder can however, pay extra premium and get coverage in Bhutan, Nepal, Pakistan, Bangladesh, Maldives, and Sri Lanka. In conclusion, the year ahead looks ripe with promises as far as your professional and personal life is concerned. And when talk shifts to your brand new car, any of the above Top-5 contenders will bring in the expected protection for your dream set of wheels and complete peace of mind for you. Related Posts of "Top 5 Car Insurance Companies In India"